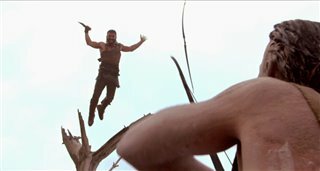 The legendary Scorpion King returns on an epic adventure in the latest action-packed film in the franchise. In ancient Egypt, evil warlord Nebserek (Peter Mensah) discovers a cursed sword that makes the one who wields it more powerful with every soul it strikes down. 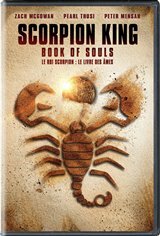 Determined to stop Nebserek's evil power from growing, the Scorpion King (Zach McGowan) teams up with a female warrior named Tala (Pearl Thusi), The Nubian Princess, who is the sister of The Nubian King. The two of them join forces with Amina (Katie Louise Saunders), a mysterious woman with a magical and tragic secret, and her golem guardian to find the one thing that can defeat Nebserek: a legendary relic known as The Book of Souls. "The storyline the cinematorgphy and the acting was bad very awful to watch. -5"
"Awful - waste of time (Nothing lower than 1 star)"